Specializing in residential renovations, general contracting, and custom carpentry located in the downtown core of Toronto. We offer a turn key renovation service with customer satisfaction always our top priority. Taking you through the whole process from design and permits through construction and organization of trades to the completion of your project we will be there with you every step of the way. SteveBuilt is a local Niagara Construction Company that specializes in Contracting/Project Management, Renovations, Additions and Custom Homes. From traditional to contemporary, we are experts at creating unique spaces that match your unique style and needs. We take great pride in our work along with our exceptional customer service provided. Proudly being one of Niagara's top General Contractors with over 15 years of residential experience. The 3 reasons we excel at what we do: 1. We provide each client with the honesty they want and respect they deserve. 2. We approach each project, no matter the size, as though we are attempting to do it for ourselves. No job too big or too small. 3. We ensure that all work completed is thoroughly inspected, tested and most importantly approved by the client. SteveBuilt's Commitment to You: We will provide the best quality work while ensuring a safe and secure workplace on your project. We endeavour to provide an outstanding customer experience of which our company can be proud. 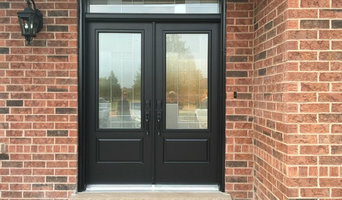 All work completed by SteveBuilt is backed by our hassle-free workmanship warranty. We will work with you every step of the way from concept to completion to ensure it's a flawless success and that you receive the highest return on investment on your project. 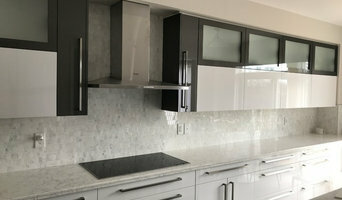 SteveBuilt Is: ~ Fully Insured General Contractor, Builder and Renovator ~ Better Business Bureau Accredited General Contractor ~ Baeumler Approved Contractor ~ Certified Red Seal Carpenters ~ Certified Schlüter Installer LET STEVEBUILT SHARE OUR NEVER-ENDING PASSION FOR RENOVATING AND CUSTOM BUILDING WITH YOU. WE ARE DEDICATED TO DELIVERING PERFECTION EACH AND EVERY TIME! Brolly Renos provides quality renovation and repair services for homes, vacation properties and business spaces. Whether it’s a large renovation or smaller upgrades that add value to your property – we take pride in meeting each projects unique criteria with efficient and quality workmanship. From measuring, planning, pricing, sourcing, design, building and installation - the upmost consideration and care is taken every step of the way. Referred often and known well for our honest and personalised service, we genuinely love what we do! 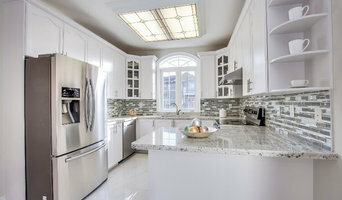 General Contractors in the greater Toronto area specializing on kitchen and bathroom remodels. Offer full turn key solutions for all your indoor and outdoor renovations, making Whitecrest a top choice for all your renovation needs. DreamTeam Renovations and Contracting began in 2000. While we have grown, we still relate to ourselves as a small company and yet large enough to provide you with the management, service and quality you deserve. With every project we take on, one of the owners of the company will manage and oversee your project in its entirety. Most importantly at DreamTeam Renos, we directly employ many of the craftspeople that you will see at your project. 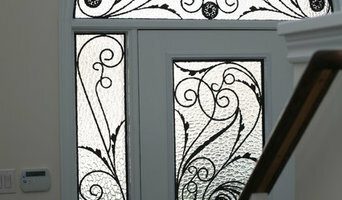 Some of the subcontractors used on your project are talented craftspeople we have worked with for many years. Because of this, continuous flow between management, employee and sub-contractor creates a team-like atmosphere that is on every project and is essential to the quality of the work performed. 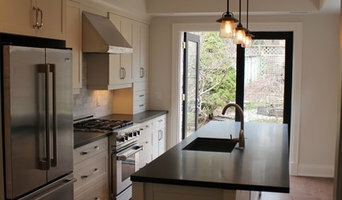 Roald Smith Construction Inc. offers top-quality, high-end general contracting services in the Kingston and Toronto area. Growing up in Namibia, Africa, I began my career in construction on my grandfather’s farm. At a young age, I was taught by my grandfather, that quality, integrity and tidy work are the cornerstones of any job I embark on. Today, I base all my work on these qualities, which I believe are what make a project stand out and ensure longevity. These principles have been integral to my work experiences throughout projects in England, Ireland and Canada. I launched my business shortly after my arrival in Canada. Word of mouth alone has led to increased projects and my business has reached a level of success I am proud of. My work ethic and principles are the main tools of my business, and I intend to let the end product attest to this. I look forward to working with you! A prestigious luxury lifestyle begins at home. Our winning combination of experience and quality spearheads the precision of your project to insure your ideas come to life in your home. With each project, we consider every obstacle that may come between your happiness and our dedication. Our slogan “Every Obstacle is an Opportunity” so we may ensures as your project progresses, we address each challenge we face and overcome it together while providing a structurally and beautiful project you will treasure to its maximum for years to come. In this day and age, with modernized development, "Your Home, Your Way, Our Precision" is the company's pride that ensures a detailed work output. Therefore, iHome Prestige Luxury is gladly pronounced as a one stop shop for affordable prestige property improvement for home and cottage owners in the Kawartha Lakes and surrounding areas. With almost a decade in renovations and wood restoration, I am confident in our ability to deliver each and every project with the custom finish you desire or create with me. my experience will help you stay on budget, on time, while giving you a piece of luxury at home. We pride ourselves in exceeding your expectation not only in work delivered but, in customer service. We keep you informed every step of the way, at every phase, while respecting your personal space, family and pets. General Contractor specializing in ALL trades. Attention to detail and perfection of workmanship is why we are a referral service. We rarely need to advertise! You advertise for me! You will invite your friends and family to see your stunning new renovation and everyone will ask ... can I have their number?! In service for over 22 years.